Pointe Santo B23 is the perfect getaway with an ideal island location and is fully equipped with everything you'll need including a view! This condo greets you with a large, bright kitchen and cheerful island decor with an open floor plan combining the kitchen, dining, and living room area together - great for families or couples alike. The master bedroom boasts a King bed set, private bathroom with double vanities and a step-in shower, and direct access to the screened lanai which includes those wonderful water views! The 2nd bedroom offers a Full bed & Twin bed and a separate guest bathroom. Recent condo upgrades include new mattresses on all beds, a new large flat screen SmartTV in the living room and freshly painted walls throughout. Pointe Santo is centrally located to nearby shopping & restaurants making it quick & easily accessible by bicycle or even on foot. Don't miss out on this beautiful and convenient turnkey condo rental with all the necessary items & amenities needed to make you feel relaxed and right at home! Condo/Resort amenities include: 2 bedrooms/2 bathrooms -- 1 King bed, 1 Full bed & 1 Twin bed & a pull-out sleeper sofa (sleeps 6), 3 flat screen TVs & 3 DVD players, free cable & WIFI, shared heated pool & hot tub, in-suite washer & dryer, public BBQ grills, shell cleaning station, tennis courts, elevators, kid's activity programs. No Pets allowed. Bed linens and Bath towels included. This unit comes stocked with beach chairs, beach towels and an umbrella. My wife and I had a great week staying at Pointe Santo. This was our fourth year renting there; it is a well maintained community in an excellent location. This was our first year renting unit B23 which was comfortable and suited our needs very well. Thank you so much for your review of Pointe Santo B23. We are so happy you enjoyed your stay at this condo! We hope that we can help you plan another trip to Sanibel in the future! 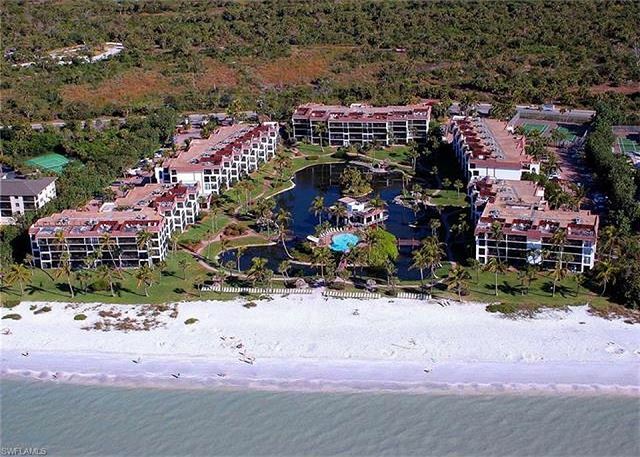 Pointe Santo is a great location for a vacation in Sanibel. The pool and hot tub are great and the beach is right there. The unit is very nicely maintained. It is clean and fresh. We had no problem. My wife and I enjoyed the very spacious master and our three adult children shared the other bedroom and pullout couch quite happily. Thank you so much for your review! We are so glad you enjoyed your stay at Pointe Santo B23. We hope we can help you plan another trip to Sanibel in the future! 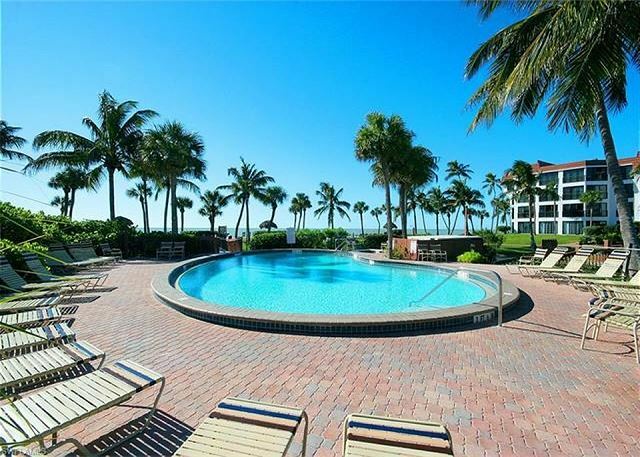 It was a great condo and the rental agency (Sanibel Vacations) wasgreat, too. Thanks! Thank you so much for your review of Pointe Santo B23! We are so glad you enjoyed your stay. It was a pleasure meeting you! We hope we can help you plan another trip to Sanibel in the future! Thank you so much for your review! It was so nice meeting you! We are so happy to hear that you enjoyed your stay with us. We hope you will call us again to plan your next trip to Sanibel! We absolutely loved our stay at Pointe Santo. It was our first time vacationing in Sanibel, and we can't wait to visit again. The location of this resort is perfect. We could walk to the beach in a mere five minutes. The resort's on-site clubhouse was an added bonus, featuring multiple fun activities for the kids. (Painting suncatchers was a big hit! )As for the condo, it offered everything we needed, right down to a fully stocked beach closet with chairs and beach toys. The condo was sparkling clean when we arrived, which was a welcome sight after two days of driving! I can't think of a single complaint. The entire family loved it! Be sure to check out Finnimore's Cycle Shop for great prices and selection on bike rentals. Finally, dinner at The Bubble Room in nearby Captiva is a must. Thank you so much for your feedback! We are so glad you all enjoyed your vacation on Sanibel! We hope you will stay with us again! Next time, stop by our office to see our premium bike, kayak and paddle board rentals! We also offer free delivery and pick up! This was the cleanest vacation rental I ever step foot into. Props to housekeeping! Because it was spotless! The view was breathtaking! Nice big open floorplan with plenty of space. Tons of beach chairs, umbrella, and beach toys. I fully stocked kitchen with everything you need. Including paper towels, dish soap, dish detergent, laundry detergent, extra toilet paper. There is no need to pack extra consumable products. The management team awesome! They even allowed us to check in early. You just have to let them know ahead of time to make sure they let housekeeping go to your rental first.Thanks for a fabulous vacation! Thank you so much for your review! It was a pleasure having you stay with us! 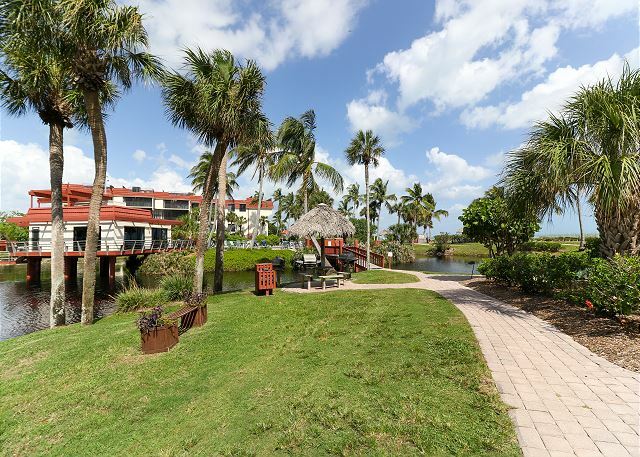 We hope next year when visiting Sanibel, you will stay with us again! Had a great stay at a great condo. Very clean. Umbrella was broken and rental agency brought us a new one. Thank you so much for your review! We are always happy to help! We hope to see you again soon! Great condo! Very spacious and clean. 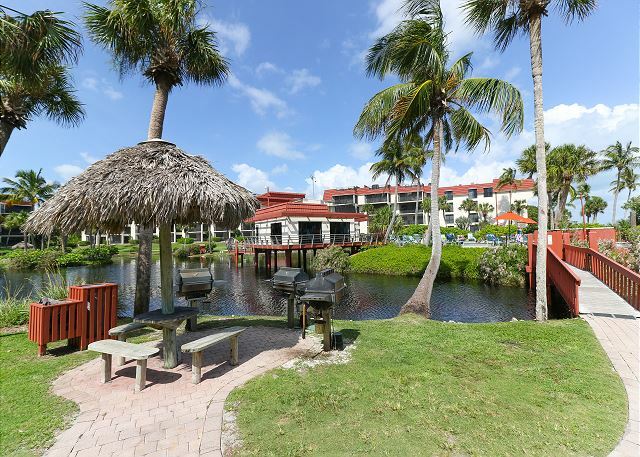 Pointe Santo is a lovely complex on the beach and bike-friendly, close to shopping & restaurants. SBL was wonderful as always. 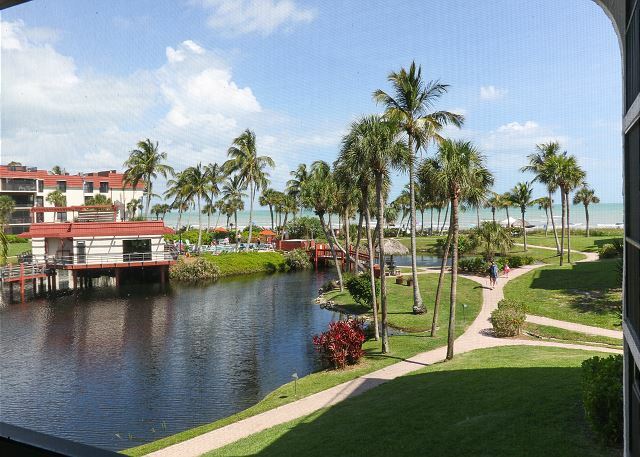 We look forward to our next trip to Sanibel - our home away from home! Thank you so much for your review! Our staff is so glad you enjoyed your time on Sanibel. We hope you will book again with us in the future!